I believe there are three things contained in the Blood of Jesus – forgiveness, deliverance and protection. Many Christians only know about the first one – forgiveness. They have no idea that there are two other things available to them that will enable them to live a victorious and overcoming life in the Lord while still living down here on this earth. I will briefly discuss each of these three things: forgiveness, deliverance, and protection. As Christians, we all know there is definitely forgiveness in the Blood of Jesus. This is the basic central message of true Christianity – that God the Father sent His one and only begotten Son Jesus Christ down to our earth in the flesh to physically die on a cross in order to save us and give us total and permanent forgiveness for all of our sins. Notice the emphasis on the word “blood” in these verses. There is no question that in these verses, and others in the Bible, that the blood that Jesus personally shed for us on the cross, which caused His physical death, is what leads us to being able to receive eternal salvation, the forgiveness of all of our sins, and entrance into heaven when we die and cross over. Now what are the Scriptural grounds that will give us the legal right to be able to use Jesus’ Blood when taking on any attacks that may come our way? As you will see in some of the stories in the Testimonies section of our site, you can Plead the Blood of Jesus against specific types of attacks such as attacks from demons or other evil people, any kind of physical illness or disease, or any kind of addiction to drugs or alcohol. Many Christians are not aware of this second component that is in the Blood of Jesus which will entitle us to be able to use His Blood to go on the offensive against any adversity that may come our way. What defeated Satan and all his dark powers? The physical death of Jesus on the cross. And what did Jesus do when He died that day on the cross for all of us? He shed His Blood! This is why pleading the Blood of Jesus works so well in real life combat situations when it really is needed to defeat attacks that are coming against us from the dark side. Many Christians are not fully aware of this second fact about the Blood of Jesus – that the Blood of Jesus can also be used to engage with our enemies when they do try to launch any kind of an attack against us. I believe that all of the above Scripture verses definitely tell us that the blood that Jesus shed that day on the cross has totally defeated Satan and all of his dark powers. The only thing remaining is for all Christians to fully realize this incredible fact, and to grab a hold of this powerful truth and not to be afraid to use when they need it – especially when demons or other bad and evil people are attempting to come against them with any type of unjust action or attack. Notice in this verse we have God’s power over all the power of our enemies, not just against some or part of their powers. This means we have the ability to come out completely victorious in some of life’s battles and struggles, but only if we learn how to properly use what is now available to us. Notice in this verse that Jesus gives the twelve apostles power over all demons, not just some of them. If we have God’s power available to us to defeat all demons, then I believe that we also have God’s power to defeat any and all humans that may try to come against us with any type of unjust action or attack. “Knowing their God” means that we have spent quality time in establishing a good, intimate, personal relationship with the Lord. If we do this, then this verse is telling us that God will strengthen and empower us when we need His power to be able to carry out great exploits and great adventures for Him. This verse is telling us that God is actually looking for people that He can anoint with His power and show Himself strong through, but the implication appears to be that He really cannot find many people who are willing to pay the price to be able to really walk with His anointing. As you can see from the way all of the above Scripture verses are worded – true Christianity is not a weak, wimpy, or passive religion. As born-again believers, we all have the Holy Spirit literally living and dwelling on the inside of us. As a result, all of our bodies have now become the temple in which He now lives in. His supernatural power is now fully available to all of us in order to help us handle some of the storm clouds that can come against us in this life. Learning how to properly Plead the Blood of Jesus for any deliverance and protection that you may need is just one part of our arsenal. I will be doing other articles in the future covering some of the other aspects on this part of our walk with the Lord. As you will see you can also Plead the Blood of Jesus on specific things that you want protected before any kind of adversity could strike them – like your body, your house, your car, your finances, etc. The goal is to Plead the Blood of Jesus on those things in order to protect you before any kind of adversity could ever come your way. 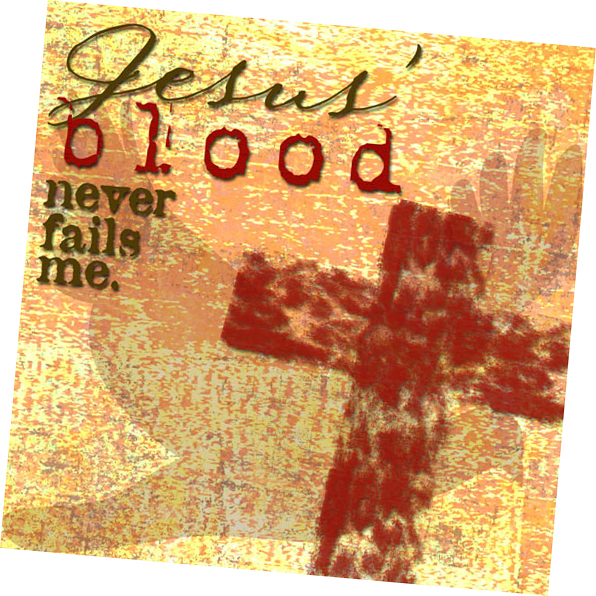 If the above verses are showing us that we can Plead the Blood of Jesus against any attacks that may have already come our way when we need God’s deliverance and/or healing power to set us free, then I also believe it only stands to reason that we can also go one step further with the Blood of Jesus – and that is to use it for protection before any actual attacks could come our way. In this case, you simply Plead the Blood of Jesus on whatever you want God’s full protection on before any attacks could possibly come your way. What God the Father had set up was the sacrifice of blemish free animals such as bulls, goats and lambs. Their blood had to be shed once per year on what was called the Day of Atonement. The shedding of these animals’ blood was what gave the Jewish people a temporary covering for their sins so as to enable them to enter into a covenant personal relationship with God the Father. This is why Jesus is called the “Lamb of God.” He is an extension of the lambs used by His Father in the Old Testament to give the Jewish people a temporary covering for their sins. Once Jesus had come to shed His own blood on the cross, there was no more need for any more animal sacrifices. His death on the cross had completed and fulfilled what His Father had started in the Old Testament with the sacrifice of these animals. Now watch this analogy. In the shedding of the lamb’s blood on the Day of Atonement, there was a temporary covering for the sins of the Jewish people. Then Jesus comes in the New Testament, and the shedding of His blood now gives all believers complete and total forgiveness for all of their sins. Now here is where I feel that something else occurred back in the Old Testament that may entitle us to be able to use the Blood of Jesus for divine protection. In the story of the Passover, God had sent His servant Moses to rescue the children of Israel from their captivity to the Egyptians. God had thrown ten whopper plagues at the Pharaoh in an effort to try and get him to release His people from his rule. On one of those plagues, God tells Pharaoh that He is going to allow an angel of death to come through their camp to kill all of their firstborn children. However, before God sets all of this up to occur, He tells His people to shed the blood of a blemish free lamb and to put that shed blood on the doorposts and lintels of their houses. God tells His people that the angel of death will bypass their house if he sees this shed blood put on their doorposts and lintels. This angel of death will thus not kill any of the Israelites’ firstborn – but only if he sees the blood properly applied to the doorposts and lintels of their houses. In other words, the blood of this blemish free lamb was being used for divine protection before this attack would come their way. 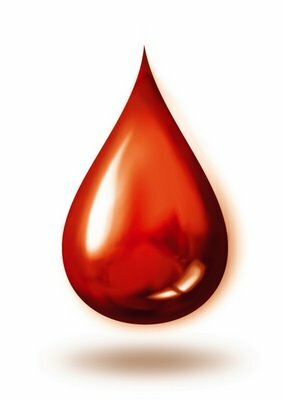 Had each person not properly applied this blood on their doorposts, their firstborn children would have also been killed, along with the rest of the firstborn children of the Egyptians. Here is my argument on this. If the shed blood of the Old Testament lambs used for the temporary covering of sins eventually leads to the shedding of Jesus’ blood for permanent and total forgiveness of all of our sins – can we also use that same analogy and say that the shed blood of the lambs used in the Passover for divine protection could also lead to the shed Blood of Jesus having divine protection in it? I personally believe the answer is yes, and that is why God the Father seems willing to honor and work with any believer who will plead the blood on whatever he wants protection on before any attack can come their way – just like He did in the story of the Passover with His own chosen people. This post spoke directly to my heart and blessed me today. Thanks and God bless you! Great post Bryan, I would also emphasise sanctification and cleansing which is an element of all three I think.